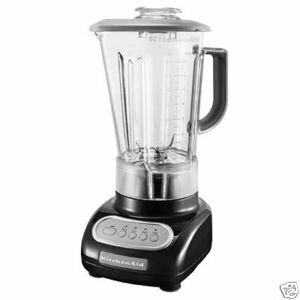 I use this blender quite often. In the Summer I use it daily. I usually make smoothies with It, but occasionally I'll blend up sauces, soups or marinades. I've have never had any issues with it. It's easy to clean and blends, chops, and purees really well. this works pretty well for crushing ice if needed. 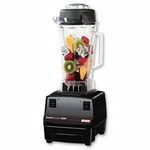 makes good smoothies and it is fast. 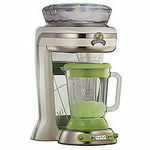 it is hard to clean but that's the case for most blenders. Kids loved it as much as us smoothies and millshakes daily. We got this to replace one we had as a wedding gift. 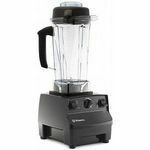 The blender is great for mixed drinks and shakes. It is little loud but has worked great easy to clean and the color is great. 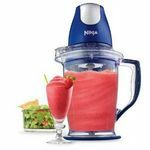 This product is great for fixing smoothies, protein shakes, and just every day use. It is very easy to clean as well as easy to use. I would recommend this product to anyone who is on the go, has a family, works a lot, due to the quickness and easiness of it to be cleaned. It makes it just so simple to clean after a long day or in a rush to head off to work etc. Love this! so easy to use. 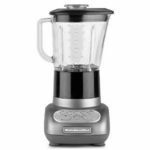 i reccomend this to anybody who likes to use blenders a lot because this one will hold up for a long time! It is very useful for a small kitchen but to make things more profecionales is not very useful.